A Green Birdnest Coral. Photo by Will Thomas. 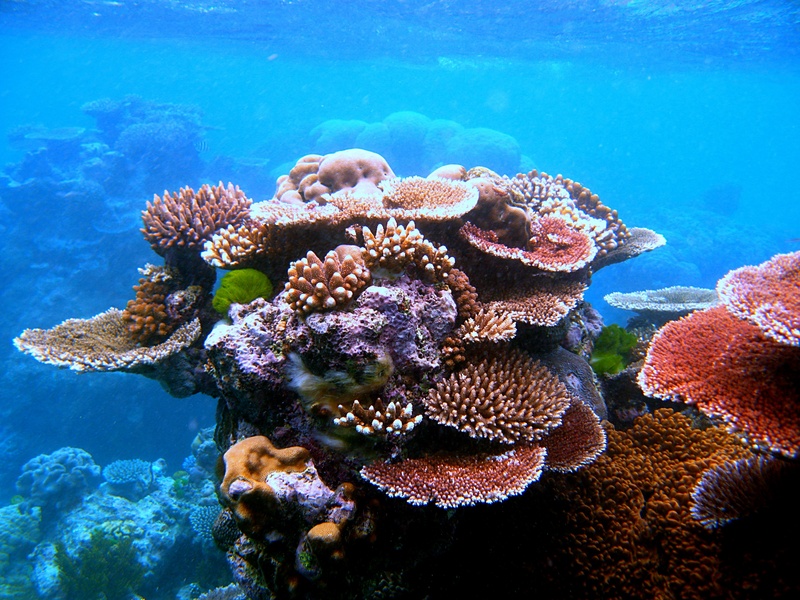 A variety of corals form an outcrop on Flynn Reef, part of the Great Barrier Reef. Photo by Toby Hudson. A turtle swims in a coral reef in the Red Sea. Lying just below the ocean surface is a world of exploding colors and thousands of species. Our oceans’ coral reefs are a precious ecosystem. But runoff pollution, the repercussions of climate change and overfishing are weakening and killing coral reefs at an alarming rate. We have to make sure everyone knows about these submerged wonders before it is too late. 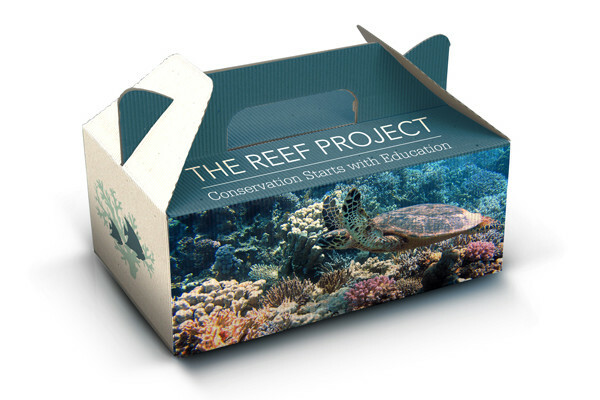 The Reef Project provides teachers with educational materials they can use in the classroom to teach students about the value of and threats to coral reefs. We believe we can motivate well-informed students to become coral reef conservationists in their own way. 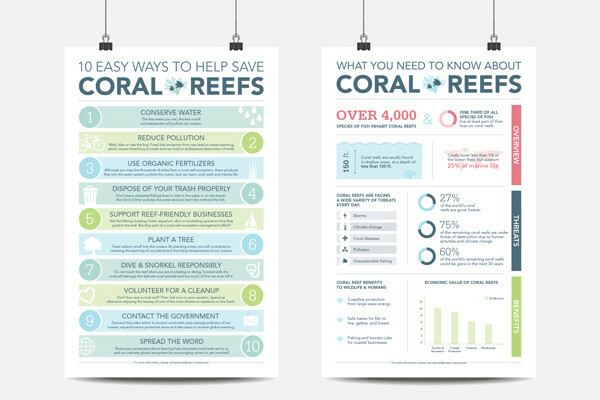 The Reef Project encourages teachers to engage in conversation with their students about how much water they use, how much trash they throw away, which chemicals are being used on their lawns, and how all of these behaviors are impacting the health of coral reefs. 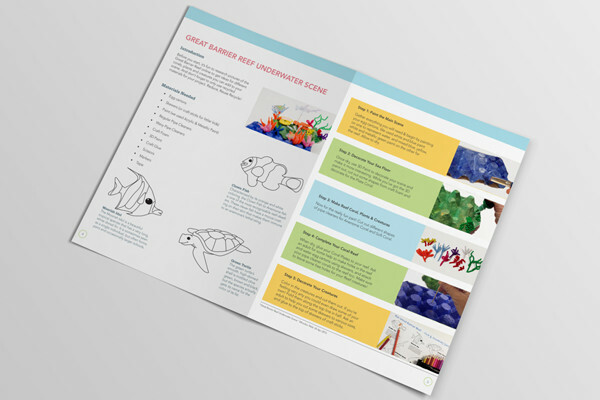 The Reef Project provides students with classroom enrichment activities such as activity packets, digital learning exercises, posters and infographics. Students can also order our Campaign Starter Kit and follow us on Facebook, Twitter and Instagram. We can save the world’s coral reefs by teaching children how to become coral reef conservationists. The Reef Project was an academic exercise for Publications Design M.A. students at the University of Baltimore. It is not a real organization.